Click Here to view a PowerPoint presentation about phantom research. An adult male whole-body voxel model, called Visible Photographic Man (VIP-Man), has been constructed and implemented in several Monte Carlo codes. 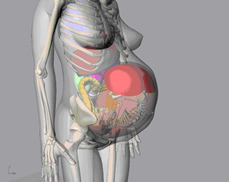 Left: Whole body of the 9-month pregnant model. 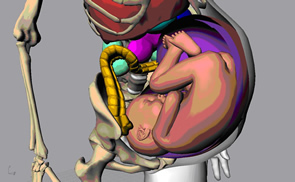 Right: Close-up rendering showing the inner organs and fetus. Bottom: Close-up of the fetus. 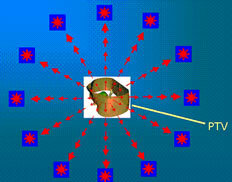 Left: Adjoint MC simulates radiation transport in backward-direction with the particles gaining energies. 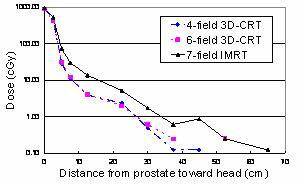 Right: Optimal sources are picked and forward-direction MC calculations are run to determine dose distribution. Left: Re-constructed 3D CT images of the RANDO phantom. Right: 3D modeling of the MOSFET dosimeter in MCNP code. 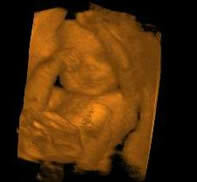 Ultrasound imaging has become one the most important modalities for diagnosis and staging of a number of diseases. 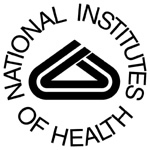 Compared to other imaging modalities, ultrasound is safe, affordable, and mobile. Ultrasound is also one of the few devices that can provide patient images in real-time, thus allowing for cardiac and intra-operative guidance during surgery and radiation treatment. A free-hand 3D image processing and visualization software package, Ultra3D, has been developed and tested, especially to work with Terasons miniaturized SmartProbeTM for freehand 3D ultrasound imaging. Click here for more information. 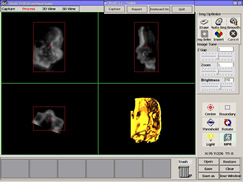 Left: 3D image in Ultra3D GUI showing the full-body of a fetus phantom. 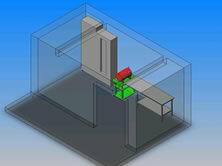 Right: Ultra 3D user interface. 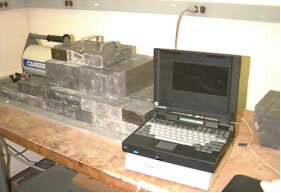 Left: Radiographic imaging chain containing the ViPRIS computational phantom. 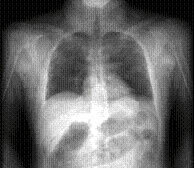 Right: Resulting image generated from 50 keV photon x-ray and CT data set. Bottom: X-ray spectrum data generated by XCOMP5R code. 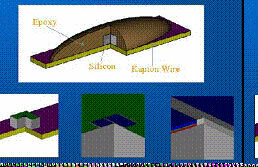 Left: MCNP geometry input from a CAD drawing of a room where Cs-137 source is stored. Right: The left lung of the VIP-Man model in voxel is converted to surface meshes. 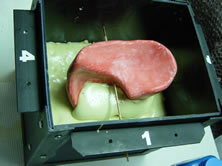 Bottom: The STL file of the lung is used to fabricate a 3D mold first using 3D prototyping and then a casting device. 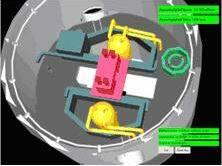 Left: A nuclear power plant reactor loading area is first modeled in a CAD software SolidWorks and then implemented in the EON virtual reality authoring environment. 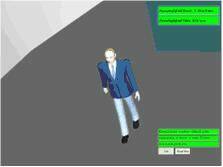 Right: Various avatars are included in the augmented VR environment to simulate movement of workers and their radiation exposure using pre-calculated effective dose database. 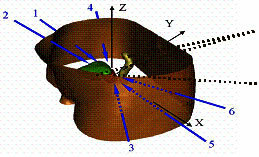 Motion-Simulating 4- Dimensional Human Phantom. Left: The RANDO physical phantom and MOSFET dosimeters are used to measure organ doses from various treatment plans. Right: Organ doses for various treatment plan. 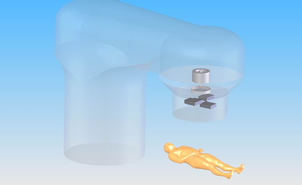 Bottom: Virtual models of the accelerator and a patient for Monte Carlo simulations. 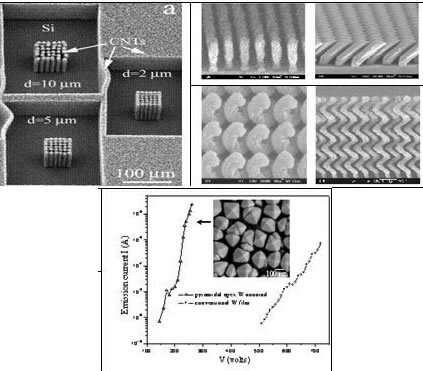 Left: Arrays of multi-walled nanotubes by Prof Ajayan. Right: Nano-rods, beams, and springs on metallic substrates by Prof. Lu. Bottom: Electron field emission characteristics by Prof. Lu. Left: Experimental setup. 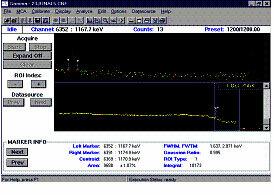 Right: Sample of Gamma Spectroscopy Output. Bednarz B, Xu XG. Monte Carlo modeling of a 6 and 18 MV Varian Clinac medical accelerator for in-field and out-of-field dose calculations: applications. Physics in Medicine and Biology. submitted in 2009. 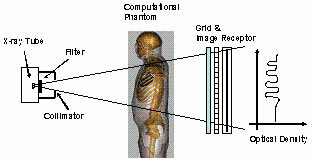 Left: The geometry of an MDCT scanner source. Right: Representation of the 16 x-ray sources and bowtie filters used to simulate a single axial CT scan. 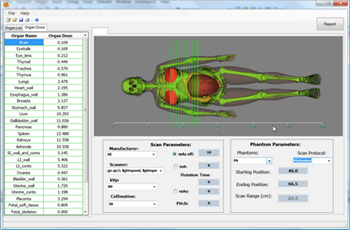 Bottom: The GUI of the CT dose reporting software. Monte Carlo simulation is ideally suited for solving Boltzmann neutron transport equation in inhomogeneous media. However, routine applications require the computation time to be reduced to minutes in a desktop system. The interest in adopting GPUs for Monte Carlo acceleration is rapidly mounting, fueled partially by the parallelism afforded by the latest GPU technologies and the challenge to perform full-size reactor core analysis on a routine basis. In this project, Monte Carlo codes for a fixed-source neutron transport and k-effective problems were developed for CPU and GPU environments to evaluate issues associated with computational speedup. A CPU implementation of the Monte Carlo neutron transport code was written in C++ and compiled with Microsoft Visual studio 2008. 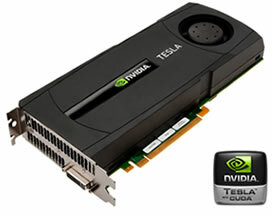 The GPU hardware used in this study is NVIDIA TeslaTM C2050 computing processor. Based on the new NVIDIA "Fermi" architecture, the TeslaTM C2050 is designed for solving large-scale computing problems more efficiently. The CPU code was run on a Windows Vista desktop with an Intel Xeon® E5507 Quad-core 2.26-GHz with 6-GB memory. The GPU-based code was optimized with 256 threads per block and 48 warps per SM to keep GPU fully occupied. Such baseline Monte Carlo neutron transport experiments were designed to evaluate the GPU acceleration afforded by the GPUs. Ding A, Liu T, Liang C, Ji W, Shepard MS, Xu XG, and Brown FB. 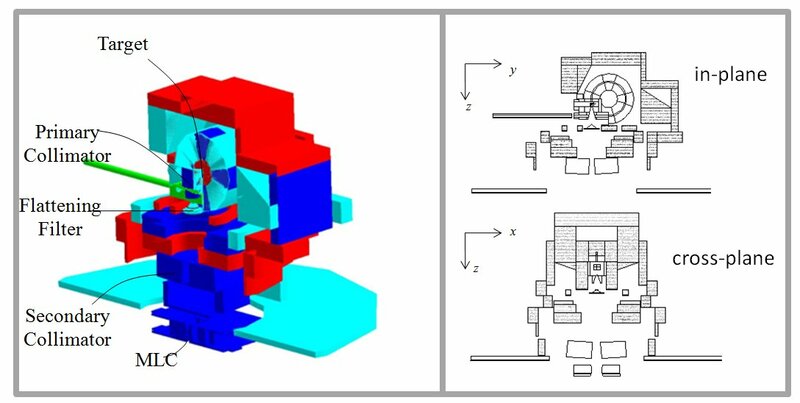 Evaluation of speedup of Monte Carlo calculations of simple reactor physics problems coded for the GPU/CUDA environment. International Conference on Mathematics and Computational Methods Applied to Nuclear Science and Engineering (M&C 2011),Rio de Janeiro, RJ, Brazil, May 8-12, 2011. One challenge in proton cancer treatment is to assess the proton range fluctuations due to changes in tissue density, tissue thickness, tumor size, or organ deformation. 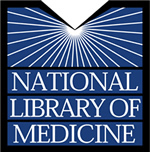 The variation may be magnified in the case of lung cancer treatment with proton beams. For example, a 5 mm water-equivalent distal margin may expand to 25 mm in lung for a 0.2 g/cc lung density. These pathlength variations underscore the need for feedback and control of the proton beam, to provide estimates of range variation on either a moment to moment or day to day timeframe. In this project, Monte Carlo methods are used to simulate and optimize a time-resolved proton range telescope (TRRT) in localization of intrafractional and interfractional motions of lung tumor and in quantification of proton range variations. The Monte Carlo N-Particle eXtended (MCNPX) code with a particle-tracking feature was employed to evaluate the TRRT performance, especially in visualizing and quantifying proton range variations during respiration. 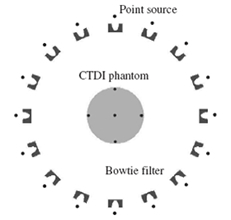 Protons of 230 MeV were tracked one by one as they pass through position detectors, patient 4DCT phantom, and finally scintillator detectors that measured residual ranges. 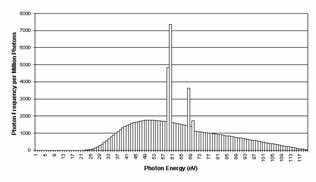 The energy response of the scintillator telescope was investigated. 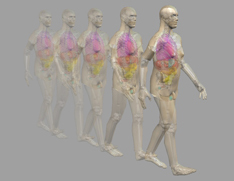 Mass density and elemental composition of tissues were defined for 4DCT data. Proton water equivalent length (WEL) was deduced by a Most Likely Path (MLP) reconstruction algorithm that incorporates the Molière theory and Bethe-Block equation to improve the image quality. 4DCT data for three patients were used to visualize and measure tumor motion and WEL variations. The tumor trajectories extracted from the WEL map were found to be within ~1mm agreement with direct 4DCT measurement. 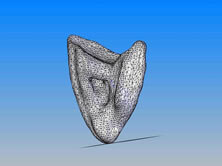 Quantitative WEL variations studies showed that the proton radiograph is good representation of WEL changes from entrance to distal of the target. 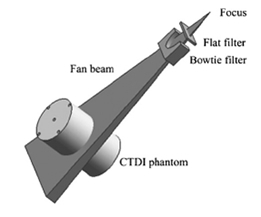 Conceptual design of the time-resolved proton range telescope system consisting of two pairs of position detecting GEM chambers and a range telescope that measures the residual range of protons. Proton WEL maps are windowed and leveled to visualize tumor at each of the 10 respiratory phases of patient #1's (beginning at peak inhalation). The tumor is clearly seen in all phases. Han B, Chen GTY, Xu XG. Proton Radiography and Fluoroscopy of Lung Tumors: A Monte Carlo Study using Patient-specific 4DCT Phantoms. Medical Physics. In print and schedule for publish in Mar 2011. Comparison of reconstructed images of the Shepp-Logan phantom for different number of projection angles using two algorithms: Filtered Back Projection (top row) and CS TV-regularization (bottom row). Mille M, Su L, Yazici B, Xu XG. 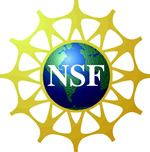 Opportunities and Challenges in Applying the Compressive Sensing Framework to Nuclear Science and Engineering. International Conference on Mathematics and Computational Methods Applied to Nuclear Science and Engineering (M&C 2011), Rio de Janeiro, RJ, Brazil, May 8-12, 2011. ARCHER is designed as a Monte Carlo software test bed for research to accelerate Monte Carlo using emerging hardware/software concepts such as the Nvidia GPUs and Intel Xeon Phi. A serial code ARCHERCPU was first developed in C as a basis for performance comparison. It was then modified as ARCHERFM and ARCHERMIC to be specific to the GPU and MIC architecture, respectively. The GPU code was written in NVIDIA CUDA C and the MIC code in Intel heterogeneous offload programming model.